A basic requirement for the secure use of industrial production processes, at the limit of the technical feasibility, is the detailed and system-wide knowledge of relevant process parameters and influences. Our scientific research concentrates on the creation and development of technological knowledge concerning turning, milling and drilling. For the further systematic development the working group “process technology” experimentally determines and systematically evaluates the correlation between machine/robot, the tool and the workpiece in cutting processes. The gained knowledge is subsequently integrated in analytical models for the prediction of process forces or consumed energy, or the validation of process simulations. For practical testing a large portfolio of robots, machine tools, measuring systems and software tools is available. 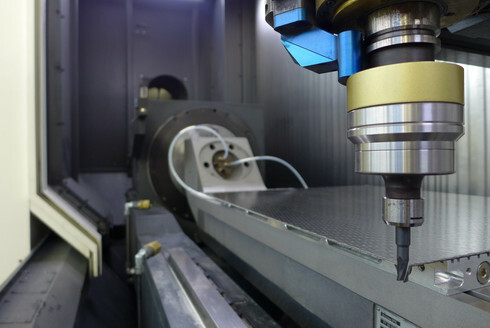 Thereby processes such as high-speed milling of various materials or machining of high temperature alloys with direct or indirect cooling can be implemented. Current research activities focus on the machining of fiber reinforced plastics and ceramics using high-speed strategies or ultrasonic assistance. Both conventional machine systems and robots are used. Furthermore, working strategies for the machining of mineral cast and particle-reinforced titanium materials are being investigated. A major topic of this group is process cooling and lubrication. 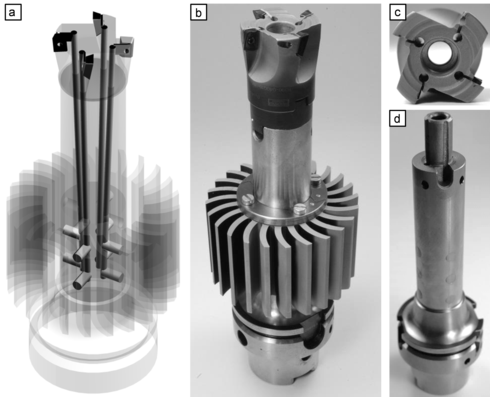 Thus, an internally cooled milling tool has been developed in which, due to a passive cooling system, no adaption of the machine tool is necessary. A further focus of this theme is the cooling and lubrication of the contact zone between chip and turning tool by the supply of cooling lubricants through the indexable cutting insert. 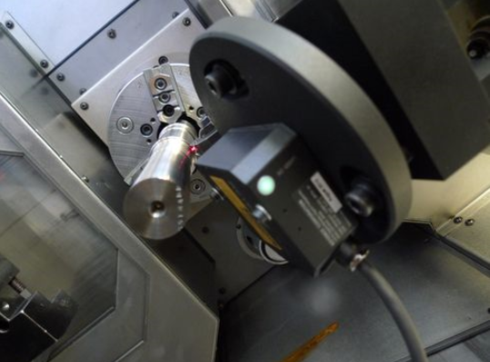 The further development and testing of new processes continually requires new solution methods to determine the tool wear and the workpiece surface behavior. One development on this field is an innovative laser measuring system which can measure the tool wear during the turning process and thus avoid interruptions due to classic wear measurement. As a result of the close cooperation with the Fraunhofer-Institute for Production Systems and Design Technology IPK, we have the opportunity to apply the results of our research very quickly in industrial applications. Further information can be found here.